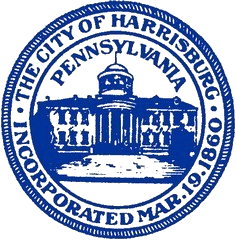 Click here to visit the official web page for up to date trash and recycling disposal information for businesses and residents in the City of Harrisburg OR download the documents below. Includes complete information and schedules for our Harrisburg waste and recycling program tailored to your location. I have been recycling. Now with the new larger cans every jerk that goes by throws in garbage. Tonight at 3:00am I went to put items out and there is someone's garbage bag and a dead cat in my recycling bin!!! I can not stop this so if the men don't take the recycling what Am I supposed to do? They come around 6. I will not stand guard. The larger can is not helpful for single older people. Sorry for the inconvenience. Your are permitted to drill a hole in your can and lock it so that illegal dumping cannot occur.